This craft is a must do for any fan of Lord of the Rings! 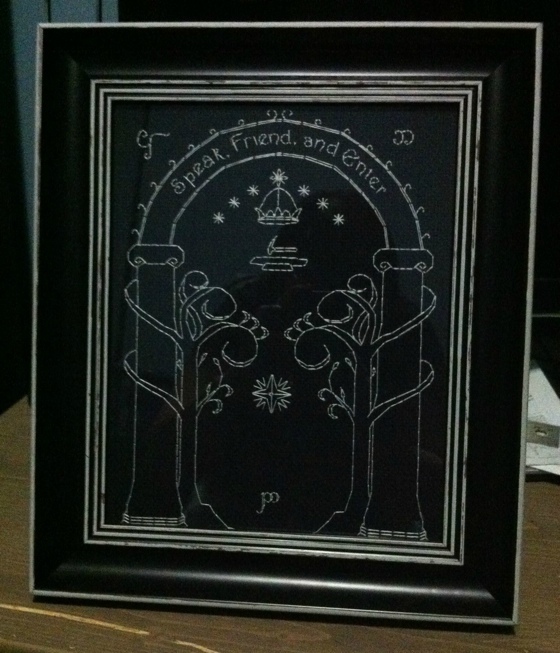 The classic entrance to the great Mines of Moria with the words “Speak Friend and Enter” is available to purchase for a completely reasonable price over at KyotiJess’s Etsy Page. It’s made with glow in the dark embroidery floss, which is available from DMC.